Connecticut Governor Dannel Malloy is joining a growing number of voices against a controversial Indiana law that critics say discriminates against gay people. Malloy signed an executive order Monday blocking state-funded travel to Indiana and other states that permit discrimination based on sexual orientation and gender identity. "When new laws turn back the clock on progress, we can't sit idly by," Malloy said on Twitter (TWTR). "We are sending a message that discrimination won't be tolerated." The move is in response to a law signed last week by Indian Gov. Mike Pence that allows businesses to refuse service to gay, lesbian and transgender people on religious grounds. Pence and his supporters say the law is designed to protect "religious freedom" and is not discriminatory. But the law come under heavy criticism from gay rights advocates and companies that warned it will hurt the state's economy. Indiana, which is a destination for sporting events and corporate conventions, has come under fire from professional sports teams and companies that hold their annual events in Indianapolis. On Monday, a group of nine CEOs wrote to Pence and legislative leaders to express their concern about the impact of the law on the "reputation" of Indiana. "As we seek to attract and retain great talent from Indiana and around the world, it is critical that we make it clear that Indiana is the welcoming state we all believe it to be," they wrote. The letters was signed by the top execs at insurer Anthem and health tech giant Roche Diagnostics. Apple (AAPL) CEO Tim Cook: In an op-ed published Sunday, Cook said such laws are "very dangerous" and contrary to America's founding principles. "On behalf of Apple, I'm standing up to oppose this new wave of legislation," wrote Cook, who came out as gay last year. Angie's List (ANGI) CEO Bill Oesterle: The proposed campus expansion project in Indianapolis is "on hold" following the bill's passage. 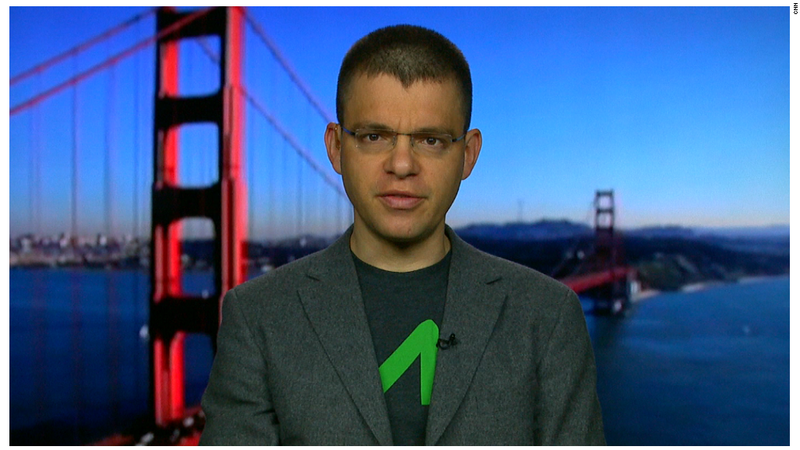 PayPal co-founder Max Levchin: Opposing the law is "a basic human decency issue," Levchin told CNN. "I'm asking my fellow CEOs to look at how they're thinking about their relationship with the state and evaluate it in terms of the legislation that's getting signed into law," he said. Yelp (YELP) CEO Jeremy Stoppelman: Yelp will "make every effort" to expand its corporate operations in states that do not have such laws on the books. "These laws set a terrible precedent that will likely harm the broader economic health of the states where they have been adopted." Salesforce (CRM) CEO Marc Benioff: The law is an "outrage," he said, and that his company will "dramatically reduce" its investments in Indiana. Eli Lilly (LLY): "We certainly understand the implications this legislation has on our ability to attract and retain employees. Simply put, we believe discriminatory legislation is bad for Indiana and for business." Eli Lilly employs more than 11,700 workers in Indiana, mostly in Indianapolis. NBA, WNBA, Indiana Pacers and Indiana Fever: "The game of basketball is grounded in long established principles of inclusion and mutual respect. We will continue to ensure that all fans, players and employees feel welcome at all NBA and WNBA events in Indiana and elsewhere." NCAA: "We are especially concerned about how this legislation could affect our student-athletes and employees." Gen Con: The people that run the video game convention said the law would "factor into our decision making on hosting the convention in the state of Indiana in future years." Gen Con brought 56,000 people to the state last year, according to CEO Adrian Swartout.